HYTCH IS A SPONSOR FOR THE 2018 POWER OF TEN CONFERENCE PRESENTED BY CUMBERLAND REGION TOMORROW. Change starts with a simple conversation. The annual summit features sessions where speakers will present plans and proposals for the future of the ten counties that make up the Middle Tennessee region. The Power of TEN conference is hosted by Cumberland Region Tomorrow (CRT), an organization that aims to educate and advocate for Middle Tennesseans. CRT holds six values of regional importance: transit, sustainable land development, infrastructure, open space conservation, air and water quality and quantity, and economic competitiveness. Each of these impacts our users but Hytch is especially dedicated to improving transit and mobility options. At Hytch, we want to be a part of this conversation that leads to a better quality of life for our users and neighbors. This year, we are sponsoring the Power of TEN Regional Summit to facilitate dialogue on how to best alleviate traffic congestion and reduce carbon emissions. Hytch is a social-impact technology company started in Nashville with the mission to make carpooling the dominant means of personal mobility. This mission allows Hytch to reward positive transit behavior, like carpooling or taking public transit, to reduce carbon emissions and alleviate traffic congestion.  Download the free Hytch Rewards app today, available for iOS or Android here. For more information about Power of TEN, visit www.10power.org.